It was an awesome day for racing at Riverside International Speedway for the IWK 250 presented by Steve Lewis Auto Body. The infield pit area was packed full of Pro Stock Tour regulars and favorites but there were a few new faces here as well. Reigning NASCAR Sprint Cup champion Brad Keselowski and his development driver Austin Theriault were also in the house and fixin’ to show the regulars how NASCAR works. Both drivers were actually very humble and friendly which the 10,000 fans who funnelled through the autograph sessions found out in pretty short order. Originally scheduled for 60 minutes, the session took nearly 2 hours for everyone to get through and get their shirts, die cast and programs signed by the NASCAR Champ. During the pre-race festivities, the owner of Riverside Speedway presented a cheque for $1,000,000 to the IWK Foundation representatives in an emotional presentation in front of the capacity crowd didn’t hesitate to show it’s appreciation as well. The main feature 250 lap race was action packed but relatively wreck free with only a few minor incidents on-track. Keselowski lead 152 laps in total to take home the Linde Most Laps Led Award, but Shawn Tucker in the Rockico Equipment Chevy Impala lead the most important lap and took home the prestigious IWK 250 trophy. 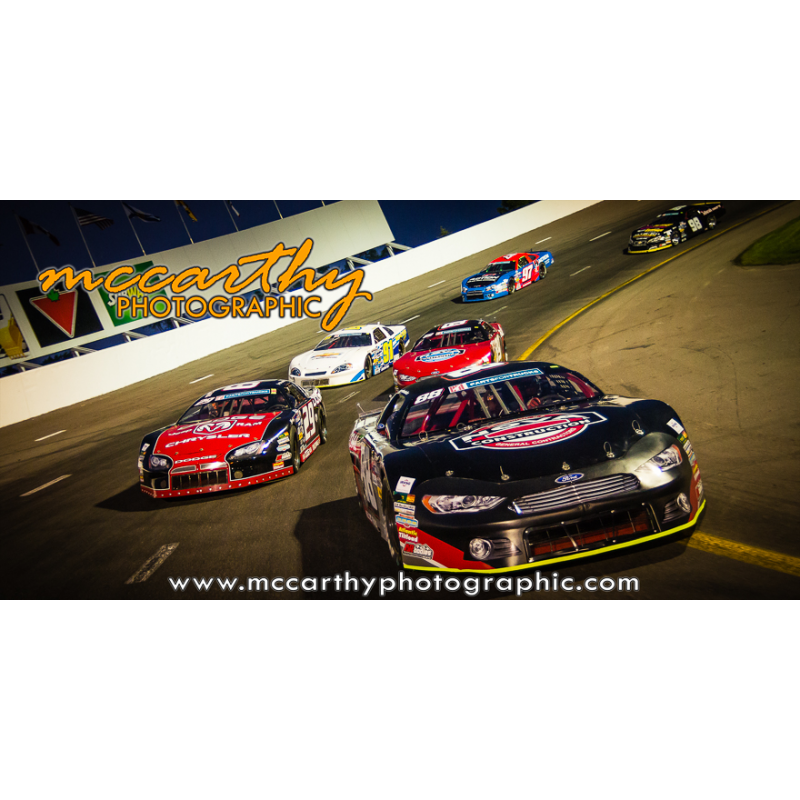 In the meantime, I hope you enjoy the photos and memories of the 2013 IWK 250 in our gallery found here.